“Hello . 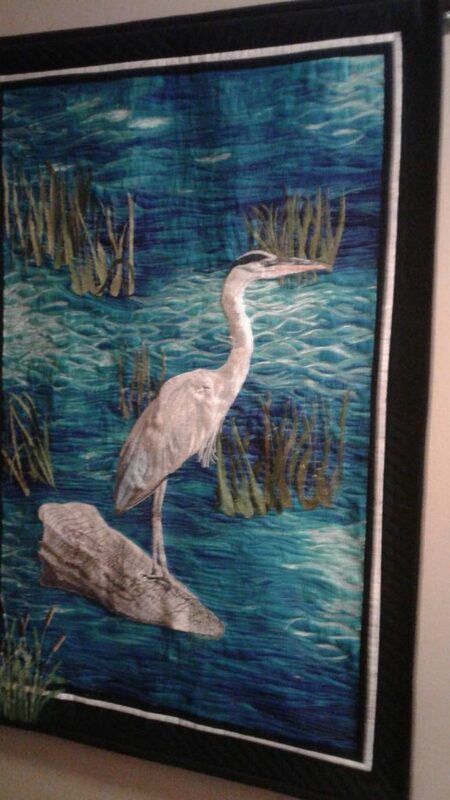 A few years ago we were in Florida and my husband purchased a number of embriodery designs at a garage/ estate sale. BFC712 Large Blue Heron was amongst the designs he purchased for me. I did the design for myself and now my daughter wants me to put it in a quilt show in Alisa Craig this spring.